Treating your research statement as though it’s a narrated walk through your vita does let you describe each of your projects (or publications). But the format is boring, and the statement doesn’t tell us much more than if we had the abstracts of each of your papers. Most problematic, treating your research statement as though it’s a narrated walk through your vita misses the primary purpose of the research statement, which is to make a persuasive case about the importance of your completed work and the excitement of your future trajectory. Writing a persuasive case about your research means setting the stage for why the questions you are investigating are important. 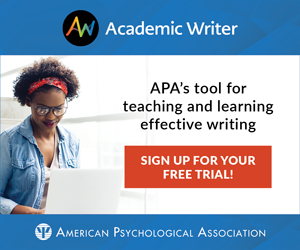 Writing a persuasive case about your research means engaging your audience so that they want to learn more about the answers you are discovering. How do you do that? You do that by crafting a coherent story. organization sentence that briefly overviews your three bodies of evidence (e.g., my research is important because a, b, and c). Although the five-paragraph persuasive essay format feels formulaic, it works. It’s used in just about every successful op-ed ever published. And like all good recipes, it can be doubled. Want a 10-paragraph, rather than five-paragraph research statement? Double the amount of each component. Take two paragraphs to introduce the point you’re going to prove. Take two paragraphs to synthesize and conclude. And in the middle, either raise six points of evidence, with a paragraph for each, or take two paragraphs to supply evidence for each of three points. The op-ed format works incredibly well for writing persuasive essays, which is what your research statement should be. The Detective Story format is more difficult to write, but it’s more enjoyable to read. Whereas the op-ed format works off deductive reasoning, the Detective Story format works off inductive reasoning. The Detective Story does not start with your thesis statement (“hire/retain/promote/ award/honor me because I’m a talented developmental/cognitive/social/clinical/biological/perception psychologist”). Rather, the Detective Story starts with your broad, overarching research question. For example, how do babies learn their native languages? How do we remember autobiographical information? Why do we favor people who are most similar to ourselves? How do we perceive depth? What’s the best way to treat depression? How does the stress we experience every day affect our long-term health? My problem is that I have been persecuted by an integer. For seven years this number has followed me around, has intruded in my most private data, and has assaulted me from the pages of our most public journals. This number assumes a variety of disguises, being sometimes a little larger and sometimes a little smaller than usual, but never changing so much as to be unrecognizable. The persistence with which this number plagues me is far more than a random accident. There is, to quote a famous senator, a design behind it, some pattern governing its appearances. Either there really is something unusual about the number or else I am suffering from delusions of persecution. I became interested in inorganic chemistry because of one element: Boron. The cage structures and complexity of boron hydrides have fascinated my fellow Boron chemists for more than 40 years — and me for more than a decade. Boron is only one element away from carbon, yet its reactivity is dramatically different. I research why. When truest to the genre of Detective Story format, the full answer to your introductory question won’t be available until the end of your statement — just like a reader doesn’t know whodunit until the last chapter of a mystery. Along the way, clues to the answer are provided, and false leads are ruled out, which keeps readers turning the pages. In the same way, writing your research statement in the Detective Story format will keep members of the hiring committee, the review committee, and the awards panel reading until the last paragraph. The second mistake people make when writing their research statements is that they write for the specialist, as though they’re talking to another member of their lab. But in most cases, the audience for your research statement won’t be well-informed specialists. Therefore, you need to convey the importance of your work and the contribution of your research without getting bogged down in jargon. Some details are important, but an intelligent reader outside your area of study should be able to understand every word of your research statement. Because research statements are most often included in academic job applications, tenure and promotion evaluations, and award nominations, we’ll talk about how to envision the audiences for each of these contexts. Job Applications. Even in the largest department, it’s doubtful that more than a couple of people will know the intricacies of your research area as well as you do. And those two or three people are unlikely to have carte blanche authority on hiring. Rather, in most departments, the decision is made by the entire department. In smaller departments, there’s probably no one else in your research area; that’s why they have a search going on. Therefore, the target audience for your research statement in a job application comprises other psychologists, but not psychologists who study what you study (the way you study it). Envision this target audience explicitly.Think of one of your fellow graduate students or post docs who’s in another area (e.g., if you’re in developmental, think of your friend in biological). Envision what that person will — and won’t — know about the questions you’re asking in your research, the methods you’re using, the statistics you’re employing, and — most importantly — the jargon that you usually use to describe all of this. Write your research statement so that this graduate student or post doc in another area in psychology will not only understand your research statement, but also find your work interesting and exciting. For the second stage of the tenure process, when your research statement is read by members of the university at large, you’re going to have to scale it down a notch. (And yes, we are suggesting that you write two different statements: one for your department’s review and one for the university’s review, because the audiences differ. And you should always write with an explicit target audience in mind.) For the audience that comprises the entire university, envision a faculty friend in another department. Think political science or economics or sociology, because your statement will be read by political scientists, economists, and sociologists. It’s an art to hit the perfect pitch of being understood by such a wide range of scholars without being trivial, but it’s achievable. Award Nominations. Members of award selection committees are unlikely to be specialists in your immediate field. Depending on the award, they might not even be members of your discipline. Find out the typical constitution of the selection committee for each award nomination you submit, and tailor your statement accordingly. And don’t use those undergraduate tricks of trying to cram more in by reducing the margins or the font size. Undoubtedly, most of the people reading your research statement will be older than you, and we old folks don’t like reading small fonts. It makes us crabby, and that’s the last thing you want us to be when we’re reading your research statement. On the one hand it`s easy to write good research personal statement, but on the other hand it`s a little bit difficult to summarize all minds and as result the main idea of the statement could be incomprehensible. It also seems like a challenge for those guys, who aren`t native speakers. for this kind of statement to target your goals. How do you write an action research topic?? An then stAte the problem an purpose for an action research. Can I get an example on language development?? Please I need some help. Morton Ann Gernsbacher, APS Past President, is the Vilas Research Professor and Sir Frederic Bartlett Professor at the University of Wisconsin-Madison. She can be contacted at magernsb@wisc.edu. Patricia G. Devine, a Past APS Board Member, is Chair of the Department of Psychology at the University of Wisconsin-Madison. She can be contacted at pgdevine@wisc.edu.